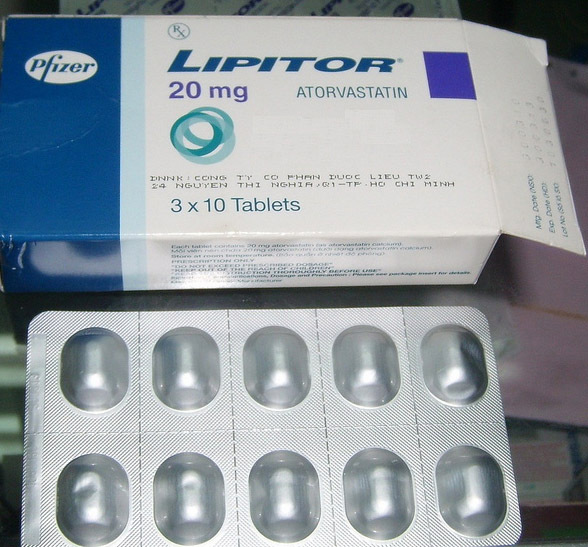 Lipitor is a brand name for the generic drug Atorvastatin and belongs to a class of drugs known as ‘statins’ which include Simvastatin (Zocor), Rosuvastatin (Crestor) and Pravastatin (Pravachol). Statin drugs including Lipitor reduce the concentration of bad cholesterol in the blood while elevating good cholesterol. Besides being prescribed to people with high cholesterol, Lipitor is also given to people with certain heart conditions and type 2 diabetes in order to decrease the risk of heart attack or stroke. Lipitor was first synthesized in 1985 by Bruce Roth while working at the Warner-Lambert Company, which later became Pfizer. The effectiveness of Lipitor was revolutionary and earned the drug the nickname "turbostatin" because it was so much more effective than other statins. Lipitor was approved by the Federal Drug Administration in 1996 and eventually became the top selling branded drug in the world. Lipitor is available in 10mg, 20mg, 40mg and 80mg film-coated tablets and should be stored at room temperature. Dosages will vary based upon the type and severity of the condition being treated. A starting dose of 10mg to 20mg is common for most health conditions, but this dosage may be increased over time in order to lessen the severity of side effects. Dosages of more than 80mg per day have not been studied. 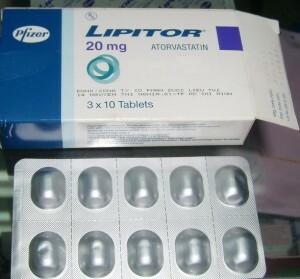 Lipitor (atorvastatin) is used for reducing bad cholesterol, increasing good cholesterol, reducing the risks of heart attack and stroke, and reducing the frequency of hospitalization for patients with congestive heart failure. Atorvastatin is often given to patients with certain health issues like type 2 diabetes or chronic heart disease in order to manage certain aspects of the diseases. Like many other medications, patients should use the minimum dosage of Lipitor that adequately controls their symptoms or cholesterol levels to reduce the risks of bothersome side effects of atorvastatin or potentially serious reactions. When used to control cholesterol, patients should have regular blood tests to check lipid levels. Do not take Lipitor if you have liver disease. Make your doctor aware if you are consuming more that two alcoholic drinks a day while on Lipitor. Alcohol may increase the risk of serious side effects. Alert your doctor if you are diabetic, have thyroid disease or kidney disease before taking Lipitor. If you become pregnant while taking Lipitor cease taking the medication and contact your doctor as soon as possible. Lipitor may harm the fetus. Also, do not breast feed while taking Lipitor. Tell your doctors that you are on Lipitor before any surgery is performed including dental surgery. Gemfibrozil is a generic medication that can help reduce very high triglyceride and cholesterol levels in the blood; if high levels of these types of fats are not treated they can lead to a heightened risk of atherosclerosis, or clogged arteries. Brand Names: Zocor and Simvacor. Simvastatin is a statin drug which is used to help control cholesterol levels in the body. Plavix (Clopidogrel) is an antiplatelet medication, available in both 75 mg and 300 mg tablets, used to treat patients who are in danger of a stroke or heart attack from blood clots. Asprin is a generic name, but it also the most common brand name for the drug. It is also available in brands such as Arthritis Pain, Aspir-Low, Bayer Asprin, Bufferin, Ecotrin, and others. Livalo is the brand name for the drug pitavastain, a HMG-CoA reductase inhibitor, or statin. It reduces “bad” cholesterol, such as low-density lipoprotein and triglycerides, while raising “good” cholesterol known as high-density lipoprotein.